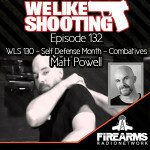 Welcome to the We Like Shooting show, Episode 131 – this week is part three of a 4 part series discussing self defense, our guest is Matt Powell from Pramek, let’s get started! Next up, the self proclaimed Machine Gun Moses, He loves valentine’s day as it is the only time of year where no one judges him for eating a giant human shaped chocolate heart. – Aaron Krieger. My name is Shawn, happy post V-day and I get the privilege of introducing our guest, he is the Creator of Pramek, an organization studying science and combatives. With hundreds of videos, DVD’s and 6 books, they teach the science of martial art learning and training, please welcome Matt Powell from Pramek! First tell us about yourself. 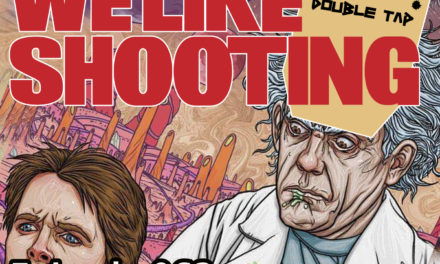 Shawn – Most of us are shooters. Some of us spend time training with guns. 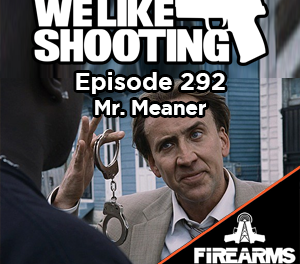 Why is it important that we spend time training without guns? Shawn – What are the fundamentals of unarmed combat? Sven – can a smaller person (i..e 5’6” me or my 4’11” wife) prevail against a larger person (i..e 6’7” jeremy) and are the odds stacked in the favor of the larger person, all things being equal? Savage1r – What to look for in an instructor/what to avoid? Shawn – What is your recommended defense for fat people and defense against fat people. nick: thoughts on otf knives? Savage1r – Can you explain to the audience the difference between traditional martial arts and MMA or practical martial arts? Keys to defending against a knife? Keys to defending with a knife? Transformer rails on the way. Follow them on facebook to see the cool stuff they are doing. Went shooting again and loaded 5 JCAA 9mm then 5 of Blazer brass (30) every person that tried it shot tighter groups instantly. More believers? Have you done the challenge yet? Antonin Scalia, love him or hate him has died. Here are the people on the hiring committee for the next SCJ. Get off your butts and call them! With a 4-4 split or knife 3-4 against, now is the most dangerous time for maryland AWB, hollis/watson v lynch to go up against a divided court. Ted Nugent makes an embarrassment of himself and all gun owners by posting anti-semitic propaganda on his facebook page. What do you think of our theme months? I am another mailman that loves to listen to this podcast as soon as it comes out. You guys help get me through the day and I enjoy all the sophomoric humor. The best is when Lil sounds astounded that you say something offensive or crude. Keep up the great work. The gang at WLS has accomplished what few can – an ensemble of personalities that mesh together like the gears of a fine Swiss watch. They provide current and relevant information and industry news, along with humor and a tad of the absurd. Info-tainment at its most-bestest! 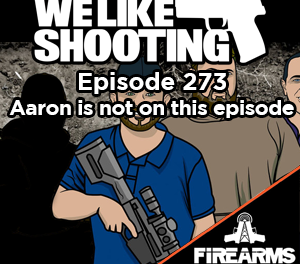 It’s like the Howard Stern Show (back when it was good) for guns! I’ve been listening to this podcast for about 6 months now. 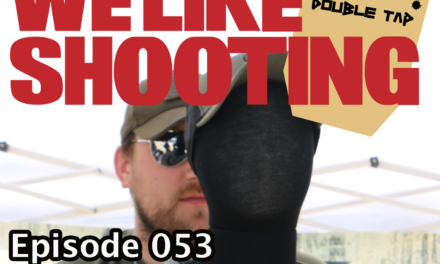 Gear reviews, political information, everything gun mixed with a good deal of ball breaking. These guys convinced me to secure my family’s future by purchasing a Second Call Defence policy. It’s much needed here in the UnConstitution State of Connecticut. Hoping to join the ranks of the patri”guns” soon. Thanks guys and gal, keep up the good work.